In the last couple of years, the market of Online Arbitrage grew both in size and in capital. A number of factor contributed to the trend. 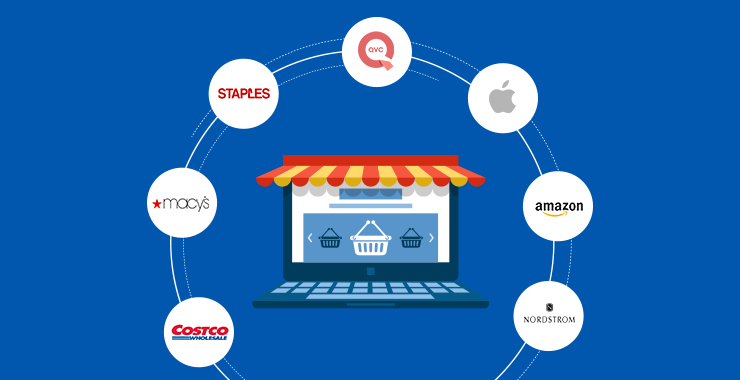 A major cause was the expansion of Amazon’s “Fulfilled by Amazon” program into new geographies and to new sellers and, also, similar programs by Amazon’s competitors: Best Buy, Walmart, eBay, Target, Newegg, etc. Although a major chunk of online arbitrage still goes from some ecommerce website to Amazon. We have seen many online sellers making money going different routes even the opposite routes. With online arbitrage deviating from its traditional routes and going in almost every direction, things have gotten quite complicated in this online trade. Online arbitragers now have to manage multiple seller and buyer accounts on various ecommerce platform. I know many online arbitragers, who did successful online arbitrage on traditional routes for many years, i.e. eBay to Amazon, are now looking at more complicated online arbitrage routes as margins begin to fall out. The new routes can go anywhere from Walmart to eBay, Best Buy to Target, Amazon to Newegg and whatnot. These new dimensions in online arbitrage business have exposed it to a new kinds of challenges. After all, there is only so much a human can manage on his own without making errors. Managing a unidirectional online arbitrage that is all about buying on Walmart and selling on Amazon is simpler with fewer to no challenges. Even if we add a few of buyers’ accounts, there won’t be many challenges if you are dealing with a couple of products. The challenges start to multiply when you start to add new seller accounts leading to multidimensional online arbitrage. Such businesses are not only harder to manage, but carry a lot more risk. In online arbitrage unlike dropshipping, the seller has to pay for the stock he keeps at the warehouse. If it’s an Amazon warehouse under “Fulfilled by Amazon” program, he has to pay Amazon for the time he uses the warehouse space. This goes for every company’s warehouse that enables you to perform online arbitrage. Sellers into multidimensional online arbitrage often resort to one of the software based online arbitrage tools available in the market. However, not everyone is comfortable with software and computers. If you are still doing online arbitrage on the traditional routes, managing your business well, and making healthy amount out of it, then I think there is no need for you to switch to one of the software-based solutions in the market as it will only worsen the situation. Online arbitrage tools tend to be overwhelming with too many features, more than any online arbitrager will need. Those unwanted features add more complications to already chaotic business of online arbitrage. In addition, most online arbitrage tools come with a steep learning curve. It may take an online arbitrager days, even months before he gets comfortable with the software, which will add to the frustration. For example, if you arbitrage goods from other ecommerce websites to Amazon, you don’t need a software solution that persistently asks you to add a new seller. Another problem with these tools is they have a hard time to keep up with API changes taking place at ecommerce websites. Not to mention, they all come with a monthly or yearly fees. However, in most online arbitrage operations in multidimensional environment, manual arbitrage is out of question. I have seen online arbitragers using spreadsheets to keep a tab. However, that’s not a good idea if you are dealing with multiple sellers’ and buyers’ accounts. A major problem with commercial online arbitrage tools is this that they try to automate every part of an online arbitrage solution. At eSellerHub, we work with many dropshippers and online arbitragers and they want control over their business. Too much automation takes that ability away and leaves the arbitragers to either go manual with spreadsheet, even pen and paper or look for some other commercial online arbitrage tools in the market. In most cases, the situation repeats. Online arbitragers need a software-based online arbitrage tool build to their requirements and stronger in the areas they do business in. At eSellerHub, we believe there isn’t anything like one solution fits every online arbitrage business. Every online arbitrager has a different set of requirements and thus they don’t need any software solution but a custom online arbitrage tool developed to their requirements. In addition, the software should grow as their business evolves to cater more marketplaces and sellers’ account. Moreover, online arbitragers should abstain from manual methods and rather look for a tool that fits their requirement, not augment their problems. Further, the software tool should be customizable to your individual needs. 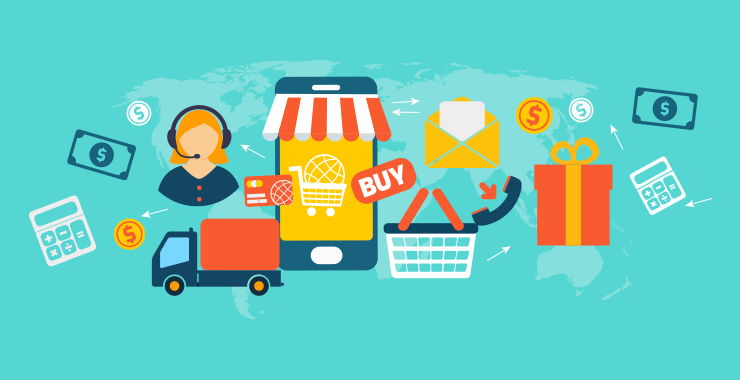 A major point of differentiation between commercial online arbitrage tools and custom tools is this that you need to hire an ecommerce developer or an ecommerce development company to carry on the software development as per your business requirements. Commercial online arbitrage tools, on the other hand, are available as entire products that a person can subscribe to or license. That means the product is developed for the mass and may not be fit for a non-conventional online arbitrage business. That’s why many online arbitragers abstain from one of the commercial online arbitrage tools and sooner or later resort back to manual online arbitrage. However, manual online arbitrage possesses logistics and management challenges due to lack of automation. Alternatively, over automation also annoys arbitragers. When you develop a software to your business needs rather than buying a commercial software in the market, there are obvious advantages. One of the biggest advantages is this that custom online arbitrage software, rather than automating every aspect of online arbitrage business, only automates a part you prefer. For example, you may like when a software tool auto-orders a product when an end user does. However, a software tool that changes price itself due to some weird algorithm is both annoying and risky. 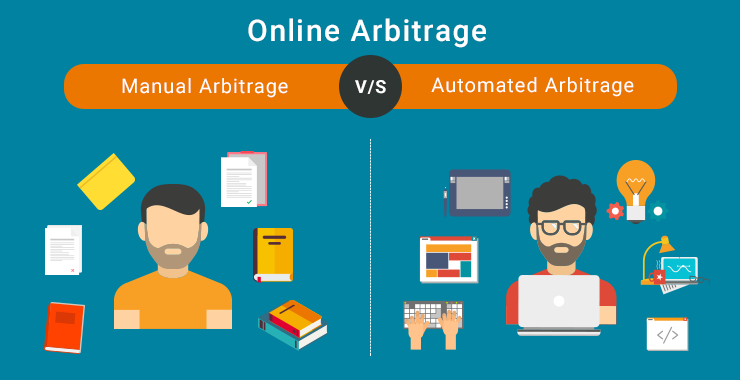 Another advantage of custom online arbitrage software is this that it incorporates both manual and automated actions. That is if you prefer to manual perform price updates, it will still auto-order when a customers does. A custom tool only includes features you need and will default all actions around those features. For instance, if you’re running an arbitrage business with two marketplaces, the custom software you will ask us to develop will only have scope for those two only. 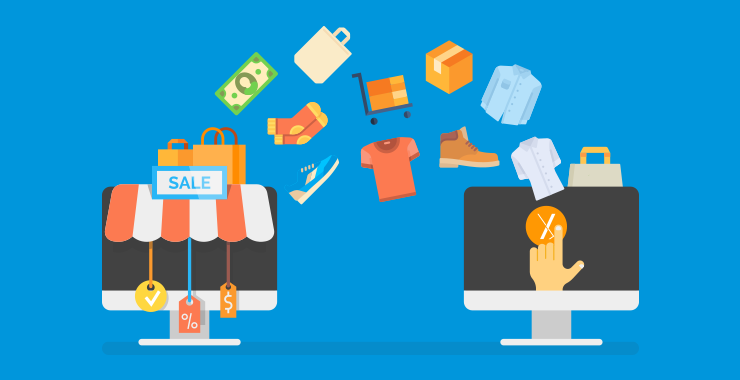 Since the arbitrage software was developed exclusively for you by a team of expert ecommerce developers, you will receive quick support in case a feature doesn’t work as expected by the same team. The team will continually improve the software with new features and bug fixes. While the debate around manual and software arbitrage has no end, one thing is imminent, sooner and later everybody switches to an online arbitrage software solution. The biggest problem is those software tools are not made for your business, rather you have to adjust your business to fit in them. This is why a number of these days are opting for a custom online arbitrage software. Why Your Online Business Needs Custom Software? Why do You Need Dropshipping Automation Software?